When it comes to following through with your New Year fitness resolutions, there's no time like the present. You may have resolved to stay in shape but what about the rest of your family? We spoke with celebrity trainer Kathy Kaehler, who has worked with the likes of Jennifer Aniston, Drew Barrymore, and Kim Kardashian to learn more about fun exercises for kids and parents alike. Kathy Kaehler may kick some of the best butts in Hollywood, but as a wife and mother she's realistic about the obstacles mums face when trying to stay in shape. "I know how difficult it can sometimes be to find time to go to the gym," Kathy says. We found out why she believes the Wii Fit U can help, how she works out with her family, and her number one tip for mums who are trying to help their family get (and stay!) in shape. Tell us why you've teamed up with Nintendo to showcase Wii Fit U.
Wii Fit U is something that works really well with families, because it has the feature of off-screen. Let's say mom wants to do yoga. She can do that in range of the console while the kids can watch what they want to watch. This is something that I think is a great piece to have in the home for role modeling, for influencing, and for getting physical activity to be a part of the family. What are your favourite games on the Wii Fit U? I love the ab workout. There's a game called "Dessert Course" where you're walking on the balance board while trying to balance a tray of food. That's all about coordination. Coming from a personal trainer end of things, what I like as well is that there is a guidance of what muscles are being used, and also a centre of balance indicator. It's really showing you where you should be feeling it and your positioning which adds a little bit of accountability to it. Especially when you're working out at home, you want to make sure you're doing it properly. What do you think is important to keep in mind when working out at home? You've got to have a lot of variation. Don't continue doing the same thing over and over again. We all acclimatize to the same workouts, and you forget that, "Oh my gosh, I've been doing this workout for six months, and my body's not changing anymore!" How do you stay motivated - and keep your family motivated? I'm very much about competition. I want to compete with a friend, or my husband, or my kids. My kids play video games. This is something active, and now we can have a family challenge. Why do you think working out in addition to a gym session or an exercise class (at school or on your own) is important for both kids and adults? There are people of the mindset, "Why would I need [Wii Fit U]? I work out. I go to the gym." But the question to them is, "Well, what does the rest of your day like?" That's the problem we're facing in society right now. We are no longer living active lifestyles in this world right now. A lot of the things that we used to do - take the stairs, wash the car, wind down our window, walk to the television to change the channel - all of these opportunities to use your muscles, pull something, or push something... those are all gone. Maybe working out for an hour a day isn't going to cut it. This adds another place. It can be a fun activity, but now you've also got the added benefit of burning calories, working your muscles, and getting yourself a little more motivated. Do you have any tips for mums who are busy but looking to kick-start a healthier lifestyle in 2014? I'm looking at how much time my kids are spending gaming or even just doing something in their bedrooms.​ ​I want to take that time which I might be able to spend with them doing something that we both will find fun. I have teenagers, and to me, it's important to find something that's got a positive spin to it. 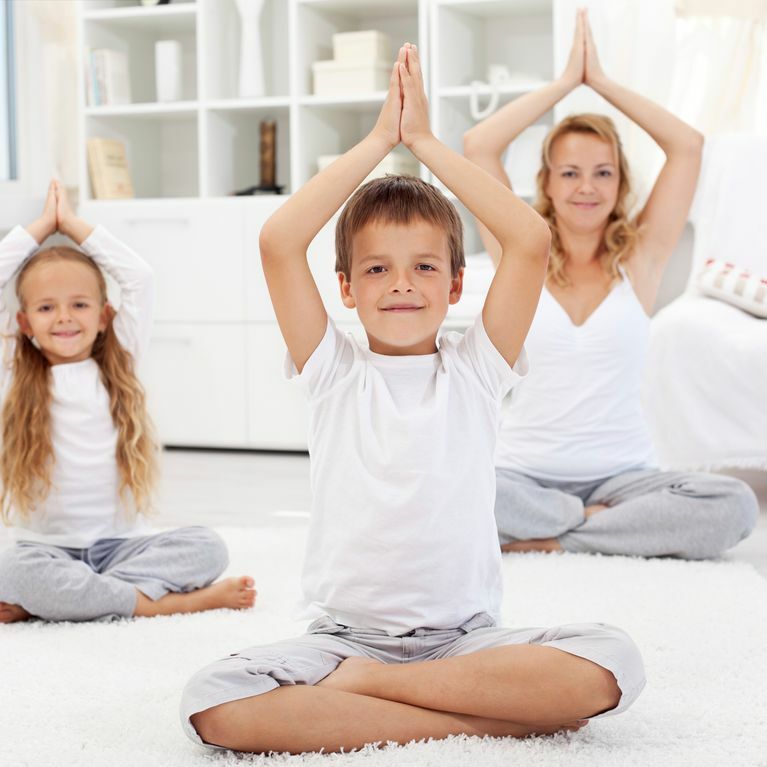 What's your favourite way to exercise with your kids? Tweet us @sofeminineUK! Learn more about the Wii Fit U at Nintendo.com.